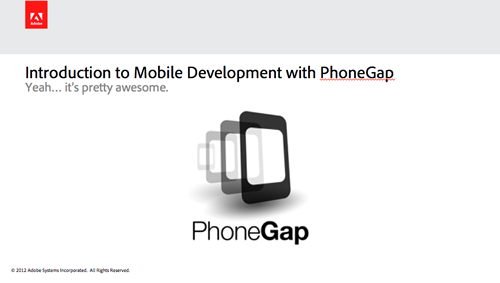 As promised, here are the slides from my presentation “Introduction to Mobile Development with PhoneGap” from the MobileDev@TU meetup last night. Many thanks to Towson University for hosting the event and inviting me to speak! Get started with PhoneGap today! …and most importantly… HAVE FUN!